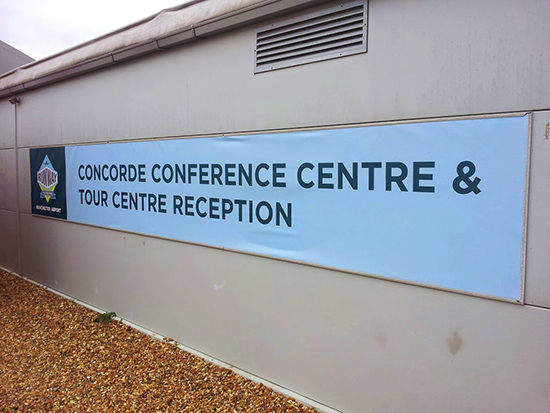 Location: Concorde Conference Centre, Manchester Airport, M90 1QX, UK. 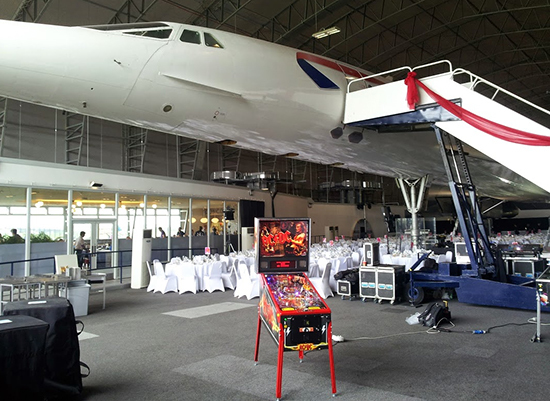 In our earlier report looking ahead to the Back to the '80s party at Manchester Airport in northwest England, we explained how pinball had become a part of this black tie charity fundraiser held alongside that icon of luxury air travel, Concorde. 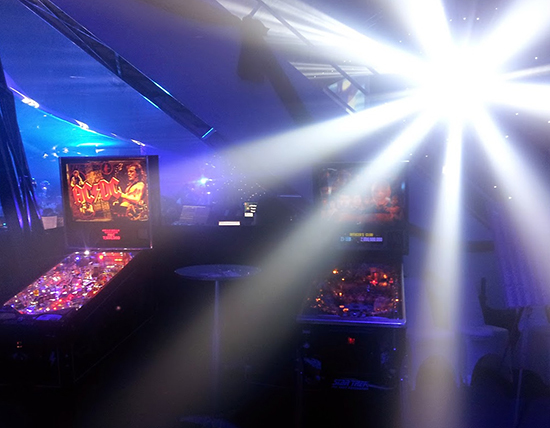 The event took place last Saturday, and now one of the organisers of the pinball element, Mark Robinson of the Northern Lights Pinball crew, tells us all about it, and how it was received by the assembled guests. Pictures for his report are by Paul Garner. 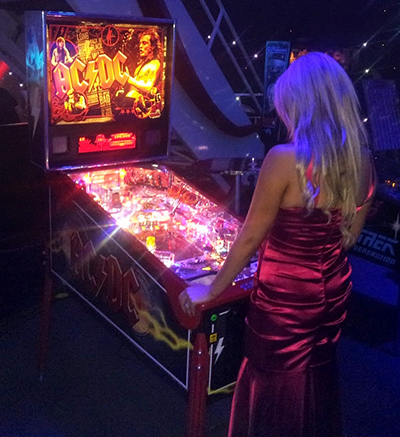 Ever since we ran our first show to raise funds for the Teenage Cancer Trust (TCT) in Blackpool back in 2010, I have offered them a pinball machine for any events that they might host to help them raise awareness. 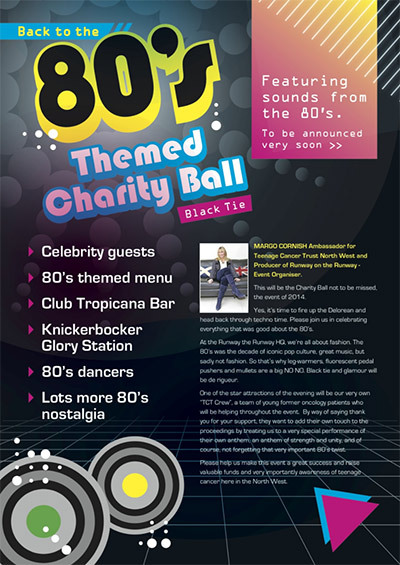 As the events have rolled by we have built a good working relationship with them, so when I had a meeting with them at the Trafford Centre earlier in the year, we were talking about this and their Runway on the Runway fundraising event was mentioned. I said we could provide pinballs for it, but there may be a cost involved. 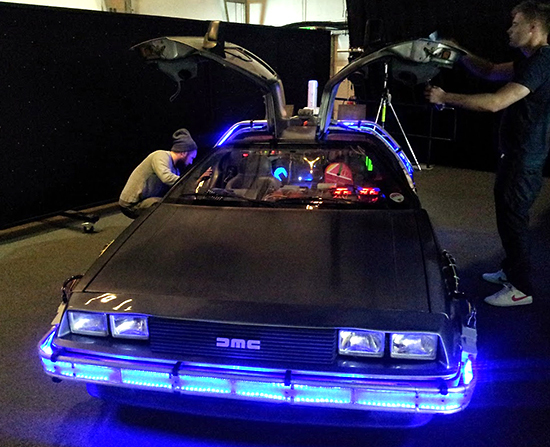 They also told me it was a Back to the Future themed show, and they were struggling to find a DeLorean car. 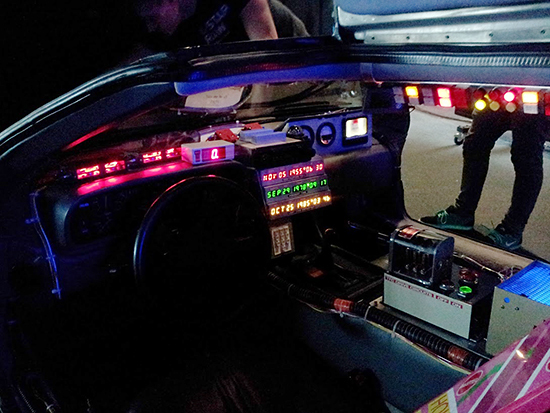 I made quite a few calls to some friends and managed to get a list of people in the UK who had a DeLorean, and the organisers managed to get one from this list. 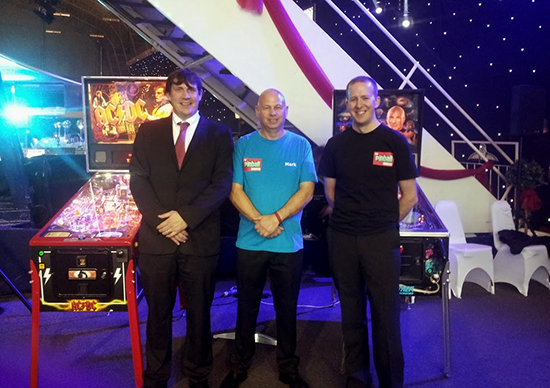 Later, when we were at the North East Retro Gaming show in Gateshead, I was talking to Phil from Pinball Heaven about the TCT event and saying that it could move the show to another level, as it was a corporate event and chances like this do not come along very often. Phil offered to sponsor the cost of attending, which was really appreciated. We had a meeting a few months ago and talked about this, and how the TCT wanted '80s-themed pins. What did we have between us that was suitable? Well not only suitable, but also reliable? I had a roam through the IMDB for suitable '80s films and TV series, and you would be surprised just how many there are. Dan Hardy offered his Star Trek - The Next Generation, which I thought was a '90s show, but when I checked I discovered it started in late-'80s. Paul Garner offered his AC/DC Premium which is an '80s band and a really nice looking pin. So it was agreed. Dan would take his Star Trek and Paul his AC/DC. I got up Saturday morning - the day of the show - and found I had an e-mail from Dianne with a set-up schedule. She had sent it at 1.25am, so she must have been up all night working on it. When I say 'schedule' it had everything down to the tiniest details. Pinball set up at 1pm, show opens 7pm, pinballs open 7.30pm, etc. It was in a spreadsheet and about six pages long. I picked Paul up at 11am and met Dan at the event at about 11:45. 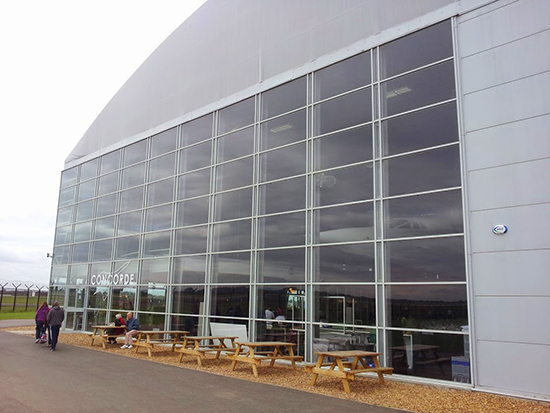 The venue is the Concorde hanger, which is in the viewing area at Manchester Airport. 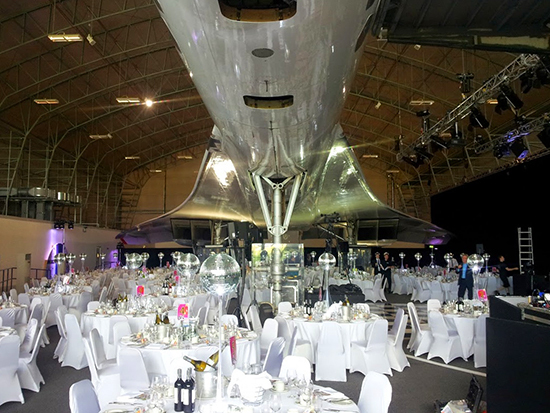 And the Concorde hanger is exactly what it is, complete with a real full-size Concorde, and it is spectacular. During the day the hall for the show didn't look anything unusual, but at night with the lighting effects, it was fantastic. We set-up right at the side of the loading steps for the plane. 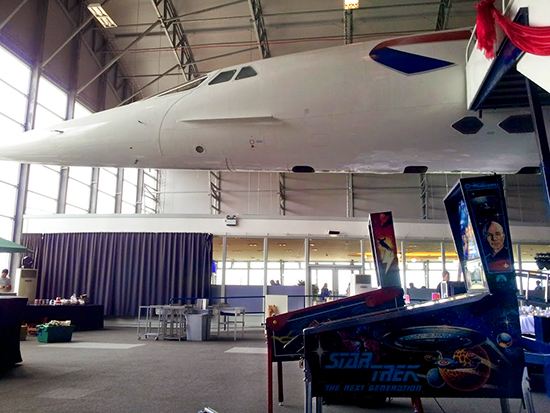 Once the pinballs were up and working, we moved the AC/DC around under the plane's nose to take the AC/DC v Concorde pictures, and I am sure you will agree they look cool. Stairway to Heaven, or Highway to Hell? 6pm and it was time for food in the green room. We went in and there were four women already sitting around the table eating. It turned out they were the House of Angels girl band - one a violinist, one plays saxophone, one vocalist and another on the keyboards. 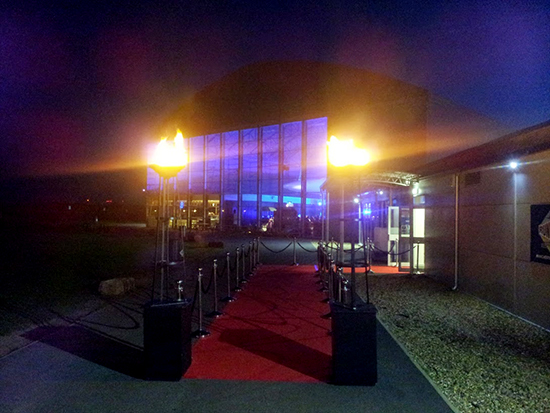 We entered the venue around 6.30pm, and naturally we had to walk down the red carpet to get in. Then we waited for the guests to arrive. They all started to come in to the hangar, and were given their complementary glass of champagne (or three). They appeared not to be interested in the pins to start with - maybe they were scared of them? - but slowly the occasional guest came over to play. One woman played loads of games. It turned out she used to play Star Trek: TNG years ago in her local pub, and she got several decent scores on it. Everyone went to sit down ready for their meal, so we returned to the green room as there would not be anybody around for about the next hour-and-a-half. 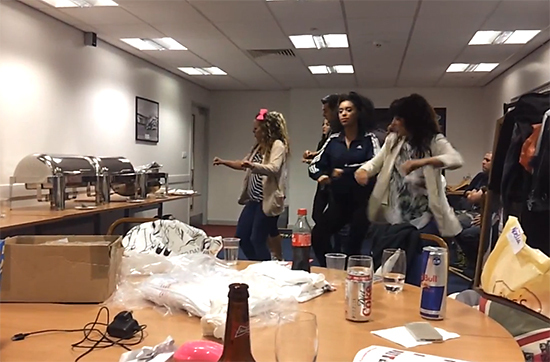 When we entered the green room there was a group of women and one bloke dancing, and I mean dancing, just like you see on The X-Factor. This was the Anne Finnigan Theatre School practicing for the show. Both times we were in the green room there was a bunch of guys and a woman sitting in the corner, watching. We wondered who they were, until later on when Paul realised n they were on stage and that they were the '80s tribute band, The '80s Experience. And they were good. We returned to the show about ten minutes before they were due to finish their main course. Dessert for the guests was a knickerbocker glory bar. With it being a corporate event with some very influential people there, we decided that there was a very real risk someone may try to poison some of them, so we had to do our duty and be food tasters to make sure nothing was underhand, so to speak. And I must say they were really, really good. Then the charity auction began. 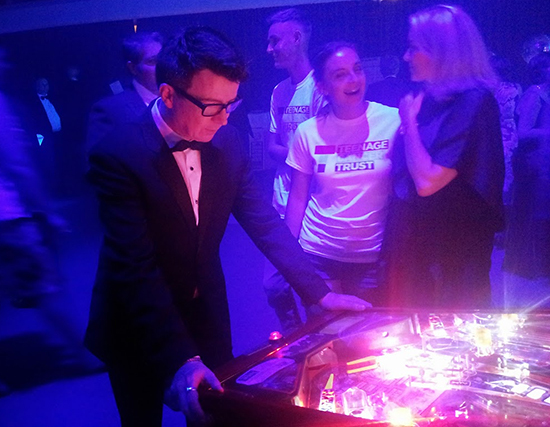 During the night we had quite a few people talking to us and asking whatever happened to pinball in pubs and bars. One lady dressed in black came over for a game but had no money, so we put a credit on AC/DC for her with her promising to return to pay us for it later. It turned out to be Rick Astley's wife Lene Bausager. We only found out the next day that she is a film producer and actress in her own right. The show was absolutely fantastic. Everything was so professionally done and no expense was spared on anything. The V.I.P. 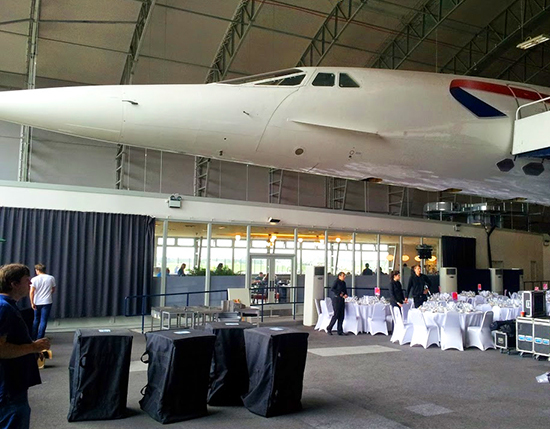 guests got their own bar area and a guided tour of Concorde. 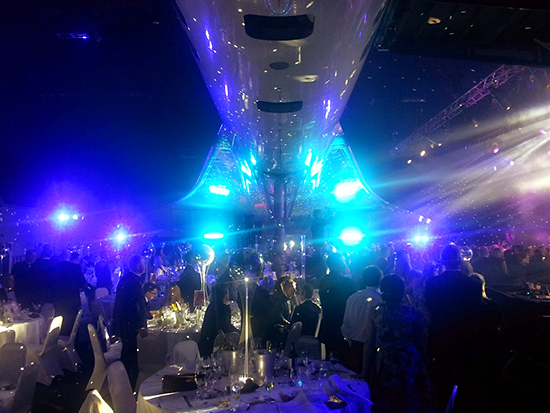 All the tables where people were dining were set-up either under Concorde's fuselage or under the wings of this iconic craft. 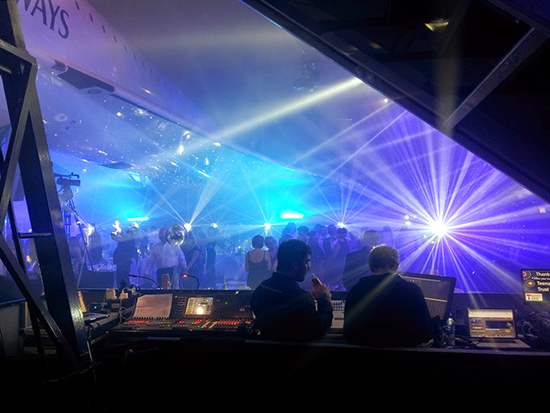 Then the spot lights pointed at the miniature disco balls which were on every table. It was like laser beams shining little dots all over the aircraft. 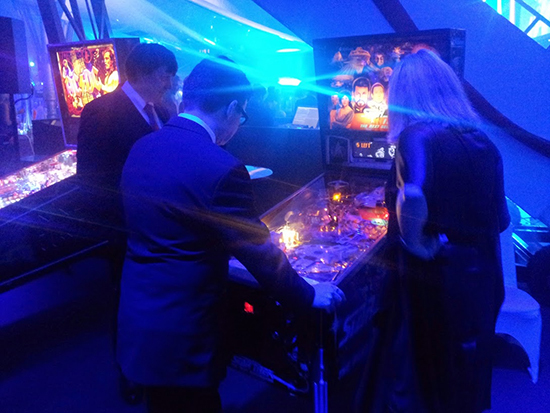 Later in the evening, Rick and Lene came back over and spent a good 20 to 30 minutes playing pinball. It seems Lene loves the silver ball and was so excited about being able to play the games, she also promised to send us something up to help us raise money for the TCT. During the night, four young cancer patients got up on the stage and danced along with the dance school women. I have the greatest respect for these kids, they are all so young and have been through Hell, and have hopefully come out the other side with a great future in front of them. One in particular sticks in my mind. Her name was Liv and she lost her leg to cancer, but her all outlook on life was something special. She was so confident, many said she is a kids TV presenter of the future. I got talking to her about the common room at the hospital, and she said that when she was in there in 2011 they had a pinball machine which had been donated, but it had been removed. She was going to speak to her youth worker and see what happened to it, if it was removed because it was faulty, and maybe between the pinball community we can repair it and keep it running for these teenagers to play. We gave Liv and the other three dancers tickets for the Northern Lights Pinball event on October 11th & 12th. If you see her, go up and say "Hi!". You will see what I mean about her, she has time for everyone. They will hopefully be there on the Sunday of the show, and will help us raise money and awareness of this great charity. Hopefully this will not be the last TCT event that the NLP team do. You can visit the NLP at ukpinball.com or facebook.com/NLPinball. We also have a Just Giving page for donations to the TCT at justgiving.com/Northern-Lights-Pinball while the TCT Northwest Facebook page is at facebook.com/teenagecancertrustnorthwest.